After years of planning, development and working with city and state partners to bring the innovative idea to life, Tempe Town Lake officially opened in November of 1999. Since its opening, 3.1 million square feet of office space has been created along a two-mile stretch of the lake, more than 2.4 million people visit each year—making it the second most popular public destination in Arizona—and the project has had an economic impact of more than $1.5 billion. And the proof is in the numbers. Over 90 information technology companies now have offices in Tempe, approximately 20 of which are clustered around the lake. 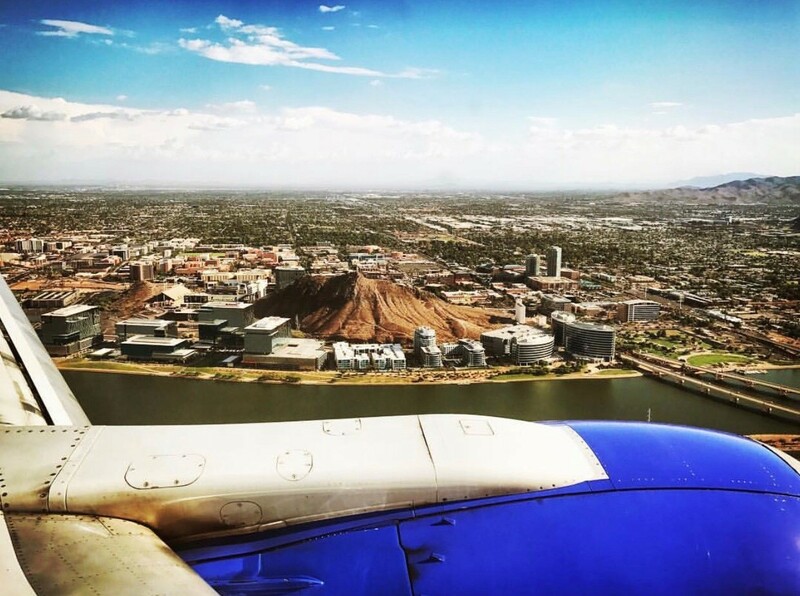 California-based tech companies, in particular, see Tempe as a desirable place to open up shop or relocate to. It’s closer than East Coast hubs like New York City and Boston, is vastly more affordable than major markets across the country, offers a strong labor pool and generally has less competition for resources. In 2013, State Farm announced plans to build its own 2.1 million square foot campus that would house up to 8,000 employees. It’s the largest office development in Arizona history and was completed in 2017. Since State Farm’s pioneering move, California-based tech company Zip Recruiter opened an office. Houzz, another California company, expanded to Tempe; and ADP brought 1,500 jobs to the area. According to CBRE’s annual Tech-30 report, average office rents in Tempe rose 15.8 percent from 2016 to 2018, ranking the city fifth among the top tech submarkets from each of the 30 markets in the report. But the technology movement underway in Tempe is just the latest in a long history of innovative thinking. Being the home of a major state university, the talent pool in Tempe and the surrounding Phoenix market is constantly regenerating, putting out the best and the brightest. In fall of 2017, Arizona State University’s Fulton School of Engineering enrollment topped 20,000, making it the largest engineering school in the nation. And when those students graduate, many are looking to put down roots in the surrounding area. To that effect, multifamily housing along Tempe Town Lake has been on the rise, providing new, amenities-rich residencies for locals looking to live where they work and play. Four developments have been built since 2015, totaling 1,033 units, and four new construction projects (which will add an additional 1,399 units) are currently underway. This type of thinking—of positioning the city for great things by making it attractive to innovative companies and people—is largely responsible for the tech boom. Quality of life, affordable housing and a wealth of qualified graduates also help, but it’s Tempe’s penchant for innovation that sets the city apart. And the story is just beginning for Tempe Town Lake. The Rio Salado 2.0 project, championed by late Arizona senator John McCain and spearheaded by Arizona State University, is underway and will connect Tempe Town Lake to other river rehabilitation projects across the valley.